The Illinois Department of Corrections is partnering with Special Olympics Illinois to host Law Enforcement Torch Run Torch of Cash Raffles at their various facilities. Illinois Department of Correction facilities interested in hosting a Torch of Cash Raffle must apply for a raffle license at their local city hall. The License should be secured under the Law Enforcement Torch Run for Special Olympics Illinois name, NOT IDOC. Please contact your local government to determine the steps to acquire a raffle license in your municipality. Once the raffle license is approved, please follow the below steps when conducting your raffle. Click here to download the Payout Check-List. IDOC Liaison must complete this online notification form and upload a copy of the approved raffle license. IDOC facility will host a weekly raffle until a winner is selected. Money raised via raffle sales should be submitted to Special Olympics Illinois via this form each month. Please note you must indicate Torch of Cash in the event name area at the bottom of the form. Torch of Cash donations will not be credited to your department total until the conclusion of the raffle. IDOC facility liaison must update Special Olympics Illinois of the raffle progress each week via this online form. Payment will be mailed within 35 business days of Special Olympics Illinois receiving all completed payout documentation (approximately 40 days from the raffle drawing date). Complete the Payout Checklist and email to TorchRun@soill.org within 5 business days. Inform winner that payment will be mailed within 35 business days of Special Olympics Illinois receiving all completed payout documentation. Winner to keep all copies of W-2 EXCEPT copy D.
The Illinois Law Enforcement Torch Run and Special Olympics Illinois Families Committee are looking to identify law enforcement personnel who have a family member with an intellectual disability and who would be willing to share their story. One such family is the Kirsch family of Shorewood. Steve is a Deputy for the Will County Sheriff’s Police whose daughter competes in Special Olympics through Special Connections. Steve, along with his wife Chris, are the first LETR Family Liaisons and serve on both the Family and LETR State Committees. 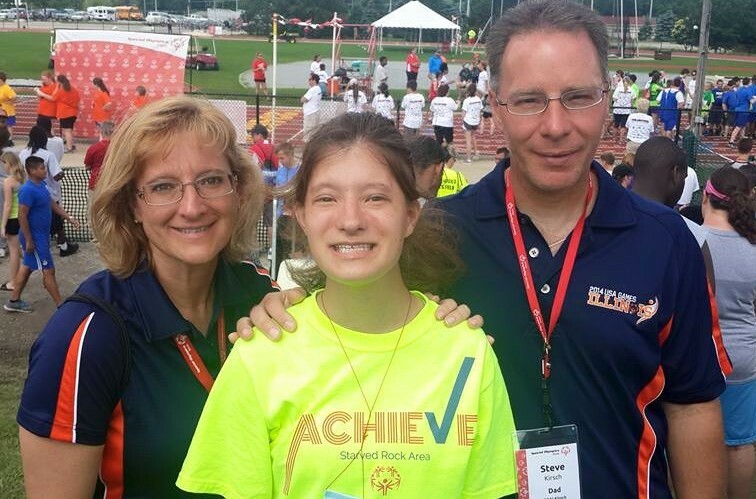 The Kirsches encourage all law enforcement families with Special Olympics athletes – whether son/daughter, sister/brother, aunt/uncle, cousin – in their families to share the story and help us inspire others. If you’re interested in sharing your law enforcement/Special Olympics family story with us, please contact the Kirsches, Katie Herriott or Karen Milligan, Director of Families and Athlete Leadership Program. View a flyer on the Law Enforcement Torch Run Family Liaison program. It is important that Special Olympics Illinois is aware of all upcoming Torch Run Events. this will allow us to help promote your events on our website as well as ensure proper insurance coverage. 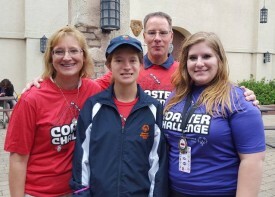 To provide insurance, Special Olympics Illinois must sponsor or co-sponsor all events. Organizers simply informing us about an event being planned and insuring that all risk management guidelines are followed can meet this obligation. Please fill out the Event Notification Form below for your event. This information will be used as the contact on the SOILL website. If you're unsure which Region Director to notify about your event, contact Sandy Nash or Chandra Scott at 1-800-394-0562. By notifying the Region Director you can keep them in the loop with what is going on in their area and they can answer questions that they may receive about the event. You can copy and paste text into this box. If you have an event flier click below to upload. Event fliers will be posted on the SOILL website. 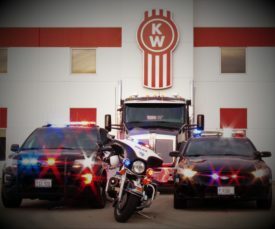 The Truck Convoy is a fundraising and awareness event that creates a unique partnership between law enforcement and the trucking industry to raise funds for Special Olympics so athletes can continue to train in year-round sports activities. 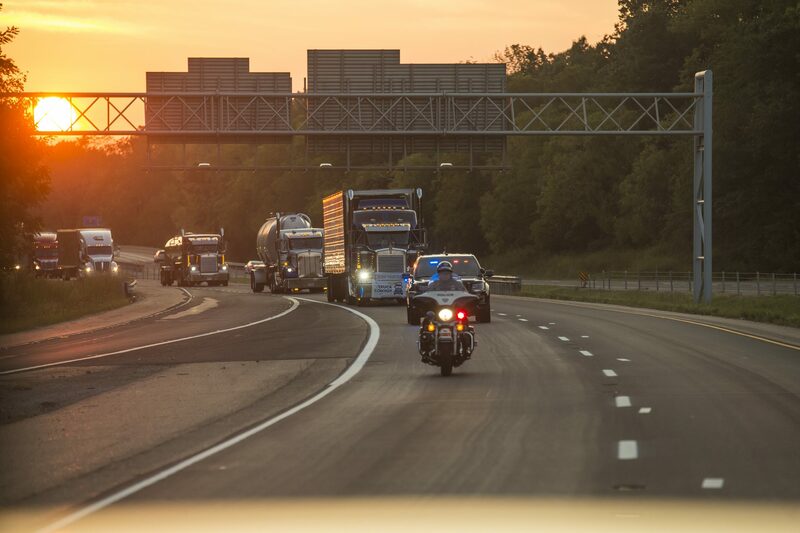 Officers involved in the Law Enforcement Torch Run for Special Olympics have made the Truck Convoy one of their many annual signature events in Illinois! The Truck Convoy was conceived in 2001 by Cpl. Norm Schneiderhan, special project coordinator for the Orange County Sheriff’s Office in Florida. 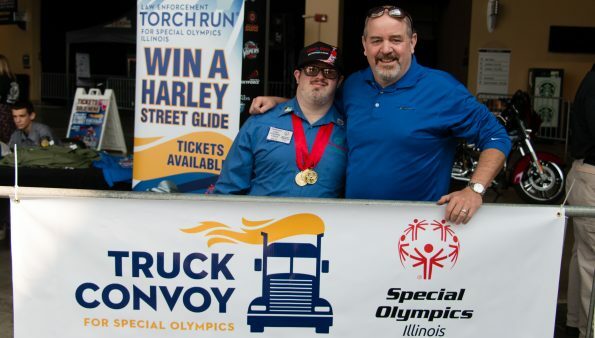 Schneiderhan, who drove a truck for about three years in his father’s trucking company before he entered the field of law enforcement, launched the event for Special Olympics as a way to call attention to the organization among truckers. 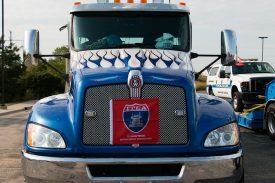 For more information on the Truck Convoy, contact Katie Risley at 309-533-3725.